If you have never experienced the taste of Colombian-Creole cuisine, check out this special cooking style at Mais Arepas, located at 1200 Carondelet St., New Orleans, LA 70130! 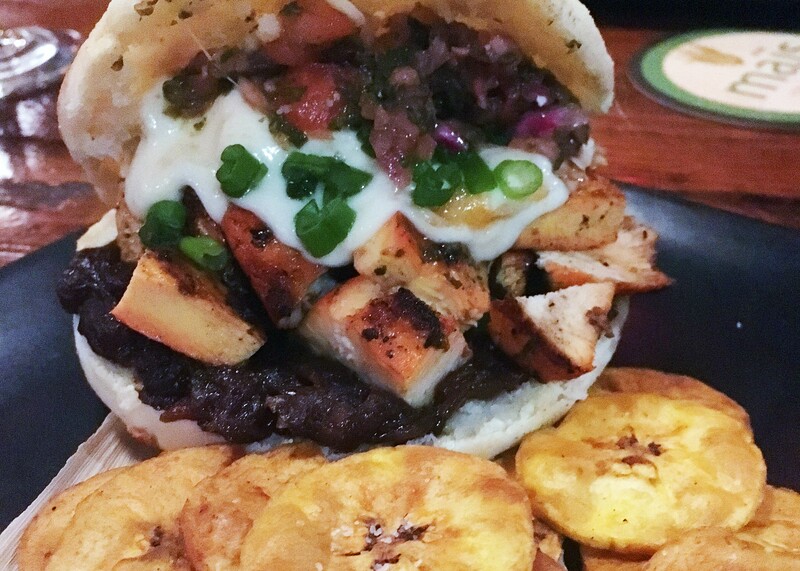 As its name indicates, the specialty is arepas, a sandwich made with grilled cornmeal and served with your choice of filling, including skirt steak, pork, plantains, shrimp, chorizo, chicken and more. In addition to the arepas, there are fantastic salads, pastries and an awesome Colombian style vegetable stew called Vegan Sanocho. Don’t leave without a fresh squeezed margarita! The restaurant is open from 11:30 AM to 2:30 PM and from 6 PM till 9:45 PM. For further information, please check out https://www.facebook.com/maisarepas.